Kashmir | The Delirious Outbursts! We left Ath Muqam just after 3 o clock in the afternoon. The drive was immensely scenic. Road though narrow was metallic to start with interspersed with springs and water falls that bisected it, every now and then. 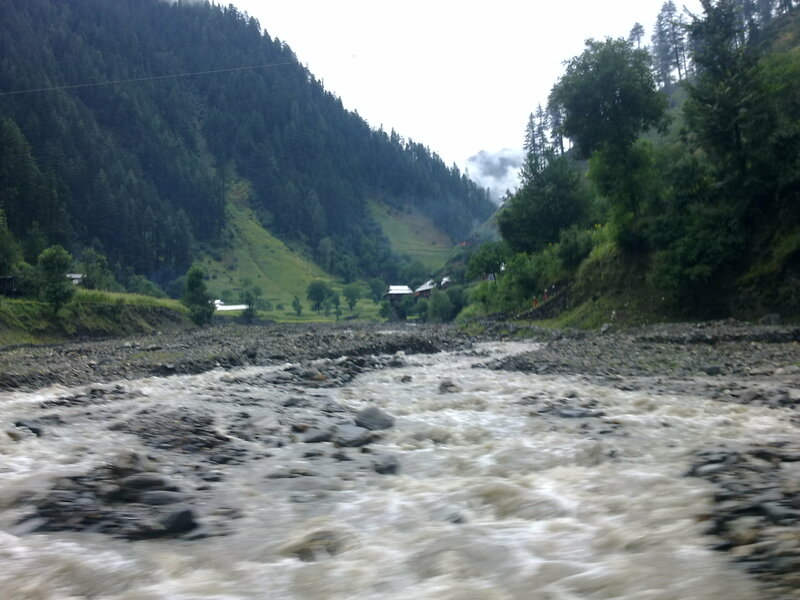 The roaring river Neelum flows all along, it’s boundaries marked by lush green thickly forested slopes. Heavily guarded, we encountered the Military check posts and structures frequently. 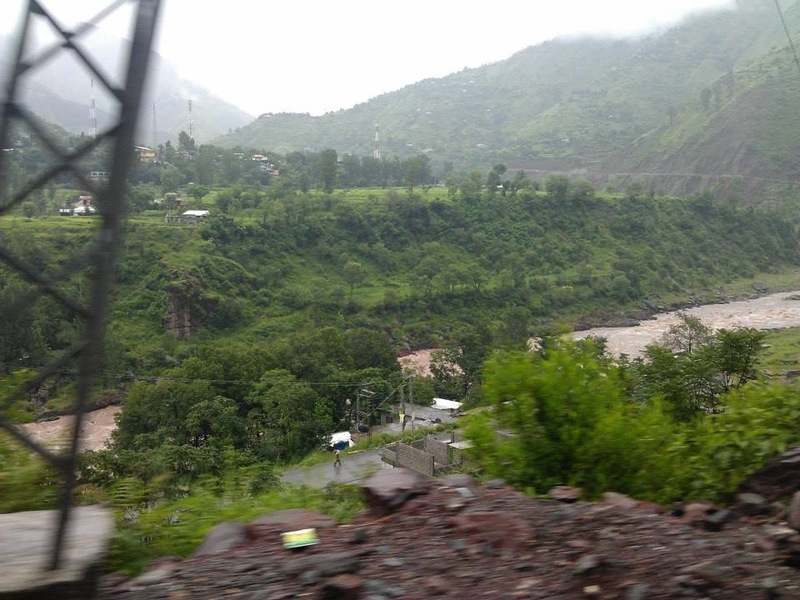 At the scenic spot of Karen, the divided states of Indian and Pakistani Kashmir converge together with only the narrow strip of river separating the two. 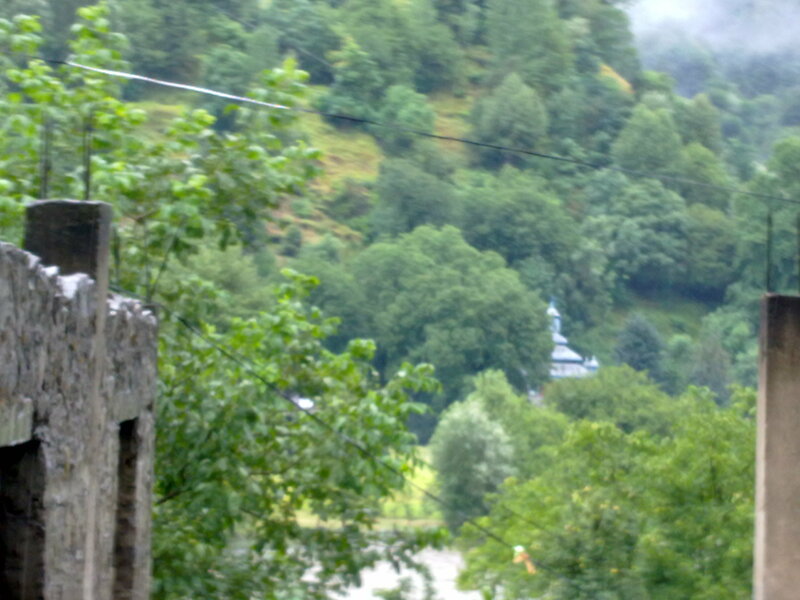 The picturesque villages, fields, houses and mosques were clearly visible across the border as the drive along the line of control continued for quite a few kilometers. Just when the glittering and pearl white murmuring stream flowing down the hills near Dawarian intersected our course, it reminded us of our climb across the pass from the far side a few years ago. 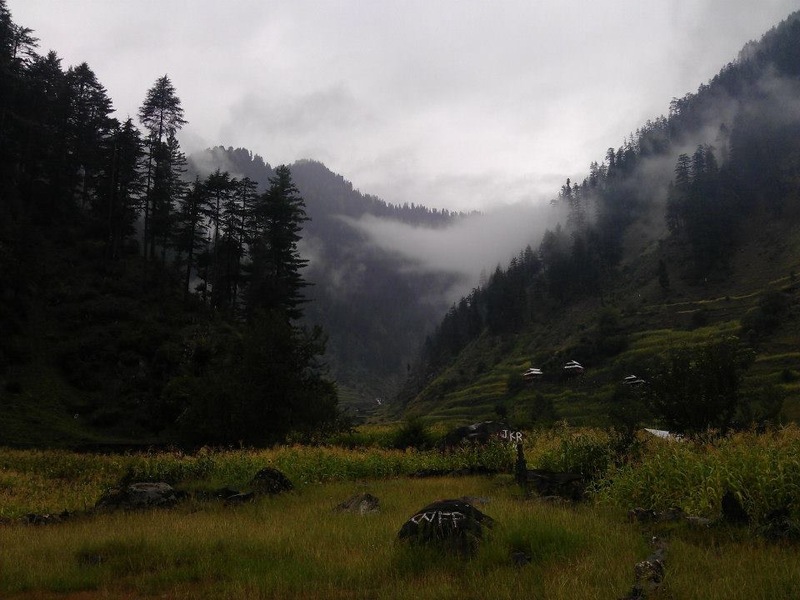 The more we travelled, the more we were enchanted to the sublime atmosphere and the raw beauty of the valley. What adds to its rapt charm is the typically quaint and colourful architecture and embroidery that is evident even deep in the heart of the valley. This delightful architecture is the hallmark of the remarkably attractive valley of Sharda along with its camp cities that were visible once we crossed a wide stream just before the town. Sharda is typically known for the remains of an ancient university that have stood the test of time and survive to date. 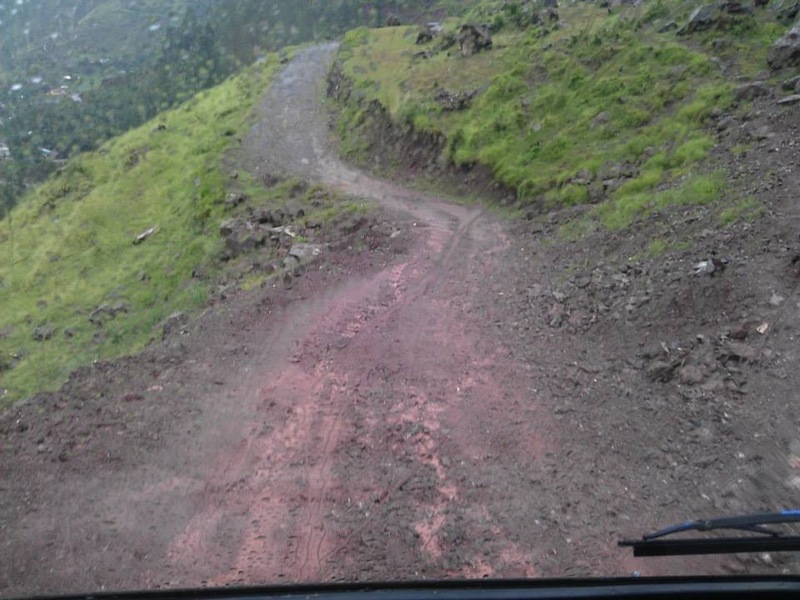 From Sharda onwards, the road became increasingly bumpy and muddy but equally mesmerising. 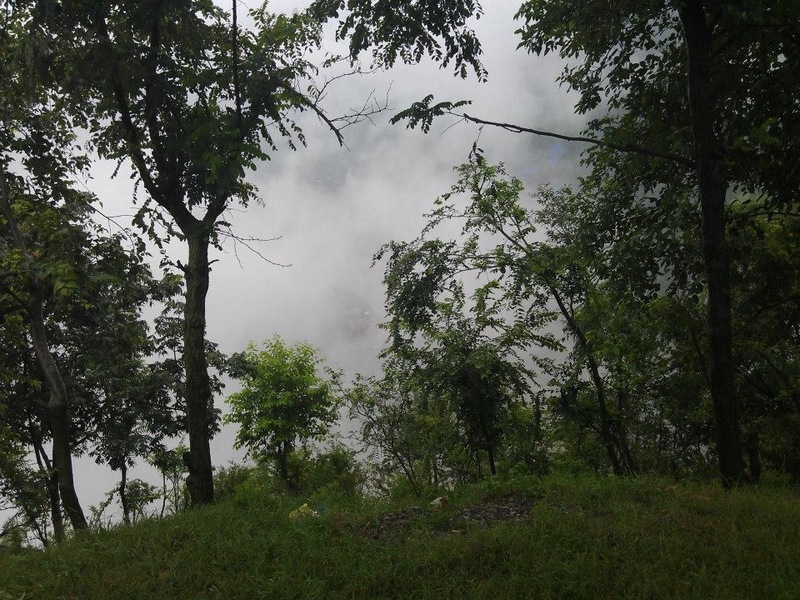 Located at just about 23 kms from Sharda, it still took the jeep more than two hours to reach Kel. 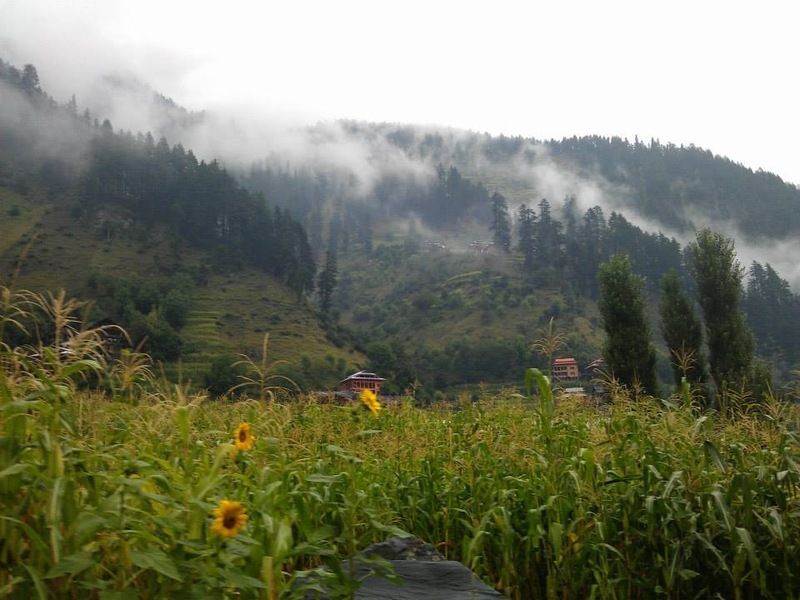 Nestled between the lush green mountains and plateaus_slopes rolling down from everywhere, all the way down to the twisting serpentine of gushing river Neelum that bisects the verdant meadows and Military setups and checkpoints sprinkled here and there, marks this stunning small paradise of Kel. Having negotiated the worst of road and weather conditions, when the jeep approached the lovely settlement, it felt truly unbelievable. What rendered the whole episode dreamlike were the unbelievable sequence of events that had unfolded during the course of the day, one following the other, while at the same time we were overwhelmed by the pristine beauty and simplicity of the town and the engrossing atmosphere that was prevailing. Tiring, cold and rainy as it was, we took a simple but delicious meal, rented a room in a small hotel and went to sleep. When we got up next morning, it was still overcast and damp. Our next destination was upper Domail. Under normal circumstances, there is a probability that one can hire a jeep right from Kel. 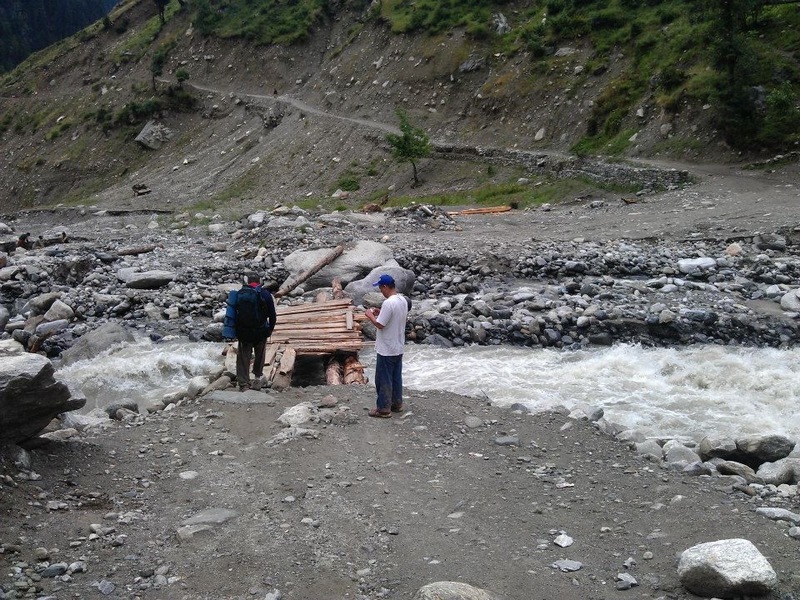 However, the heavy rain had dismantled the makeshift wooden bridge located a couple of kilometers downstream. This necessitated taking about half an hour long walk along the Shaunter nala while we marvelled at the amazing beauty of the valley. Since we crossed the quaint bridge and moved to the far side of the stream in the morning, the probability of finding a jeep was higher. Fortunately, we were able to find a jeep parked there that took about another hour to amass the passengers and initiate its journey. From there, it was nearly twenty kilometes long jeep ride that took more than two hours as the jeep tootled along the twisting ascends while literally exposing the virtual heavens to the travellers. 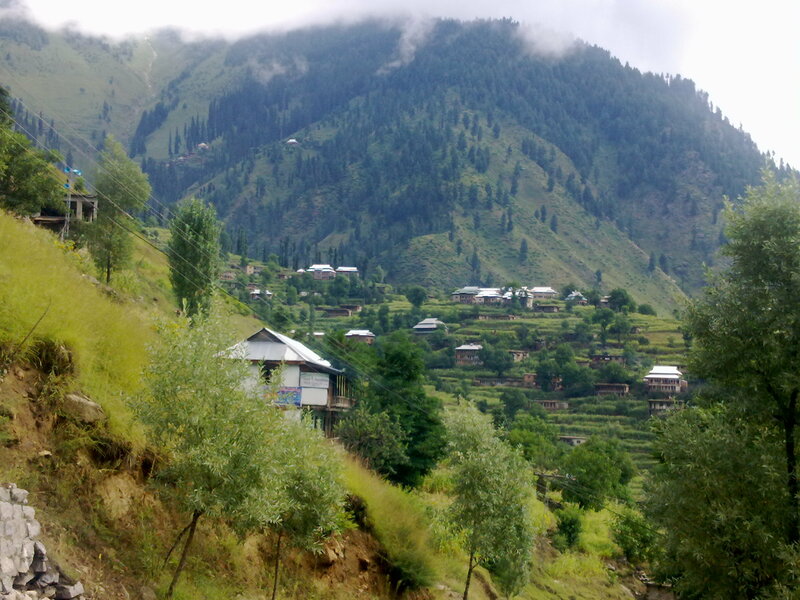 The bumpy mud and rocky track laid on a steep gradient eventually led us to upper Domail_ a lovely mountain village located near the confluence of two mountain streams. We pitched our tent, hired the porters for the next day and took our lunch. The scented breeze was immensely refreshing and invigorating whilst the serene charm and intoxicating aura of the isolated narrow valley trapped within the towering peaks far from the reach of civilization was truly fascinating. It was challenging from the very onset. Approaching from the Garhi Habibullah’s side, bus came to a halt at a sharp turn a few kilometres short of Muzaffarabad. The near vertical fragile face of the mountain was bleeding. A slurry of mud and rain water flowed across the eroding muddy road channeling its way into the river deep down. In a steady down pour and a welcoming moist breeze on a very pleasant August morning, we wore our raincoats and backpacks and began to stroll. Once we were able to cross the heaps of soft mud and make our way watchfully across the landslide, the road became more stable. 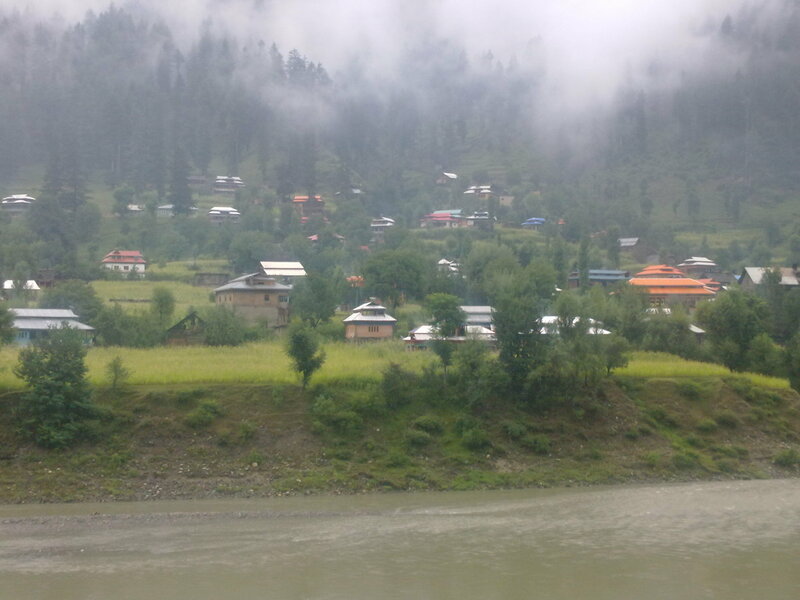 A couple of hundred meters ahead, walking on a higher platform, the beautiful valley of Muzzafarabad met our eyes surrounded almost completely by the roaring serpentine of river Neelum. Few minutes walk down the road accompanied by the scenic views of the valley washed by the rain,we were offered a lift by a random UN vehicle that was gratefully accepted. The roads were noticeably vacant and the traffic was understandably sparse but what was most revealing and shocking was the fact that the bus stop was completely vacant. 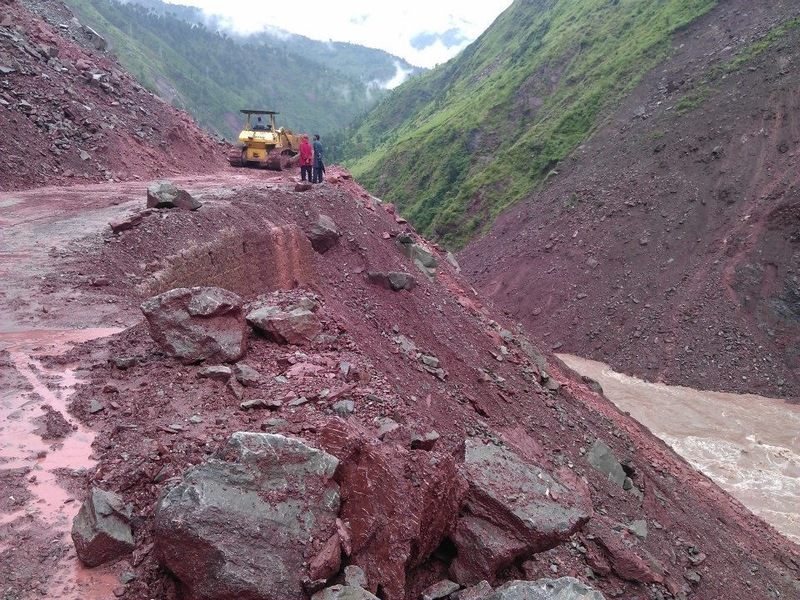 It had been raining heavily and incessantly for days and all the approaches to Muzaffarabad were reportedly blocked. There was no public transport entering or leaving the town. 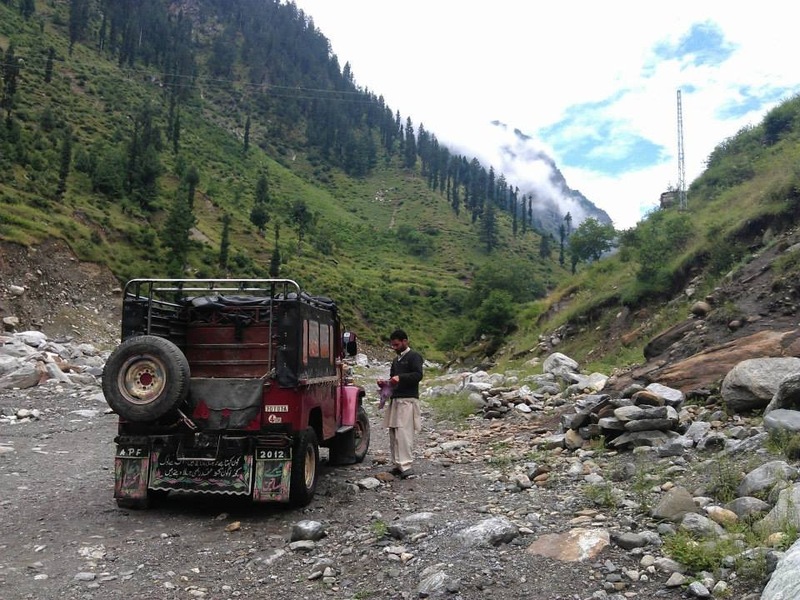 Determined and not prepared to let our plans fizzle, after much deliberation, we finally convinced and negotiated with the sole rent a car driver to take us a few kilometres further to the verge of landslides blocking access to the Neelum valley. Twenty minutes later the driver dropped us pointing towards a series of weeping and melting slides containing abundance of water and mud but equally considerate to the innocent desire and cause of an occasional stone or a piece of rock that hastily wanted to find its way down the slopes. The driver greeted, shook his head in disbelief but then thought the better of it, charged his bill dutifully and drove back. WELCOME! LANDSLIDES THAT GREETED US ON OUR WAY! Walking in the rain, keeping an eye on the weeping mountain while balancing ourselves, we began to cross the series of intermittent land slides that spread for a couple of kilometres. It all went smoothly supposedly until a couple of slides later, we were halted by a man on duty. He was supervising the clearance of the road while the machinery was at work. We were advised to wait until the reach was clear and no one was allowed to walk across. As one testing ordeal followed the other, much to our delight and hope, the approach was cleared shortly and we were allowed to stroll further. Soon we realized there were heaps of mud and gravel scattered along the road with vehicles and bikes stuck in between. Some of the guys who had gone through some miserable conditions over the past couple of days had a strong warning to utter. However, our resolve kept us going. Short of Khori, when it all looked highly improbable, with a stroke of luck, we were able to negotiate a deal with a pick up driver who agreed to give us a ride till Ath Muqam. We embarked on our next leg of journey. There were intermittent slides posing serious challenge but the driver full of commitment managed to cross every barrier skilfully. The landscape became increasingly scenic while the rain lent even more lively tinge and glow to the exuberantly rich and green panorama. Even though we were thoroughly wet and the torn canvas spread over the top of the vehicle was also leaking, the bewitching beauty and atmosphere of the valley was truly gripping. As much as it seemed improbable, it took us three hours to be transported to Ath Muqam. Not surprisingly, the place was equally deserted. The bus stop presented a sorry and disappointing look with no signs of conveyance visible. Just when it seemed, it was over for the day & possibly the trip, the invisible divine hand came to sort things out for us mortals again. Lurking behind the torrents of rain, there appeared the owner of one of the two jeeps parked in the deserted compound of the bus stand. Spirited by his unexpected offer to take us to not Sharda but even Kel in that inclement weather with a lot of premium understandably led to some heated negotiations under the thundering . He finally settled for a demanding price but hoped to drive us to Kel in another four hours by the sunset. Hungry but much conscious of the precious time that was lapsing, we settled for the sizzling pakoras, the only relishing delight available that we could lay our hands on, at the deserted bus stand.